Once again we have news of this week's download delights in Europe, with something on offer for every system you own. Let's get started. Jonny Kung Fu (UFO Interactive, £5.40/€6) — On paper this sounds full of promise, being an old-school side-scrolling action game with stylistic references to LCD and Game & Watch titles. As we explain in our Jonny Kung Fu review, however, a great concept doesn't always make a great game, so this is one for those who simply can't resist the style and aren't too worried about substance. Toki Tori (Two Tribes, £3.60/€4) — Before he was waddling and puzzling around on WiiWare, Toki Tori was heroically taking on obstacles and enemies on Game Boy Color. Our upcoming review will help you to decide whether it's worth taking the intrepid little chicken on the road with you. 3,2,1... Words Up! (EnjoyUp Games, 200 pts) — If you need to work on your linguistic skills, which is basically knowing lots and lots of words, then this title will let you do so against a ticking clock and in two game modes. It may not sound like much but, as our 3,2,1... Words Up! review explains, simple can still be fun. Ace Mathician (CIRCLE Entertainment, 200 pts) — In the second part of this week's DSiWare edutainment theme, your job is to help Ace the Koala to retrieve fruit with the power of mathematics. It's a bit like Scribblenauts for maths, and we gave it a coveted 8/10 in our Ace Mathician review, so don't dismiss it off-hand. 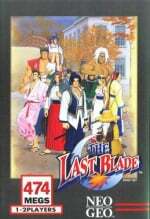 The Last Blade (SNK Playmore, 900 pts) — Europe has the chance to catch up with another Neo Geo fighter, with this one taking part in the "Bakumatsu” period of Japanese history; that means sword slashing action. Despite there being such a wealth of fighting games from the system on the Wii Virtual Console, check out our The Last Blade review to understand why this is one of the very best. The Incredible Barbazan: The Knife Thrower (£1.40/€1.50) — See the worst magician ever performing tricks and stunts that always fail! This time get ready to see the Knife Thrower. A varied week of download goodies this week. So, what will you be downloading this week? Let us know in the comments and vote in the poll, below. Oh well, I'll save my money. S'all right. Nervous about NA though we might get... just Sonic and there might be no more Game of the Weeks. @KaiserGX Why would there be no more game of the weeks? Colors! 3D is our last “Game of the Weekend!" DL it in Nintendo #eShop for $3.99 from 9am PT, 7/27 – 9pm PT, 7/29. Why no CAVE STORY+??????? OR ANY DEMOS??? But actually thinking of buying Toki Tori, but first got to see the review. Definitely Ace Mathician and most likely Toki Tori (liked the WiiWare game a lot). While 3, 2, 1... Words Up! sounds quite good too i doubt i'd get a lot out of it without online leaderboards. Meh, when does NSMB2 come out? Last Blade for me. I have the points already. 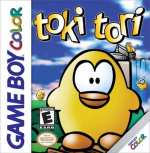 TokiTori on eShop? Quick! Someone tell 0nyxheart. Nothing for me this week, that's for sure. I'll probably be saving my current eShop funds for New Super Mario Bros 2. Nothing for me. NSMB2 is coming soon though. @BenAV Well after losing your games I understand. I felt awful for you when I read that Swapnote. I might get Toki Tori. I want more GBC games. Last Blade is a great game. You can pick it. Ace Mathician and Toki Tori it is for me! And now for something completely different... DLC for a Final Fantasy game on a Nintendo system. An outstanding line up for Nintendo's online services. How much more DLC is there for Theatrhythm? @Hyperstar96: What? No John Cleese in a bikini? Europeans, get Last Blade. You'll thank me later. Will definitely get 321...words up. Love word based puzzle games, and 200 points is a steal. Now just need Word Up from the pub quiz machines! I hope we get Toki Tori in the US this week. I'd grab that for sure. O yeah, Toki Tori will be mine. I was going to say the same thing I seem to always say, "nothing for me this week," but then I looked up Toki Tori and WOW! It appears to be one of those forgotten gems that I am constantly on the look out for. Instant download! Has that poll always been there or did I just notice it? ^It's new. I check these things every week. Might've started last week, though. Lucky dogs getting Last Blade and Toki Tori on the same day. @BassX0 Good man. Kaede is boss. Always been tempted by Toki Tori. If it gets a good review, I might just make the plunge.